ARATOURS Travel Services has been involved in travel and transfer business for more than 10 years. Throughout these years, the company's business volume has increased to have multiple branches in different fields. Switzerland Tour is based in Fribourg in the heart of Switzerland, between the world-known Swiss Alps and the two metropolises of Switzerland - Geneva and Zurich. The company’s hard-work endeavour allowed it to manage a developed network of integrated services with flexible solutions and strategies both to accomplish the firm’s goals and to meet the customers’ travel needs. The aim from the very beginning was to provide high-quality services and competitive prices within and outside the boundaries of Switzerland. During years of serving the clients, Switzerland Tour became a specialist in delivering the preferable level of service. Thus, proudly gained the fidelity and trust of its customers. The reason behind the success of switzerland-tour was always combining three kinds of important features: high sense of responsibility, security provision and low price policy. The staff of Switzerland Tour dedicates all of their experiences towards the intrepid travellers, by only focusing on the provision of clear and outright advice to lead the customers in this amazing country. Switzerland Tour’s team has achieved a considerable experience during the time of living and working in Switzerland to get the honour of guiding their tourists in this heavenly country. There are not any hidden secrets for Switzerland Tour’s team in this country: even the unknown corners of the country, became well-known! Thus, all the crew is glad to be at your disposal, suggest, organise as well as, operate the best tours and daily trips in your preferred language to unveil the beauty of this unique corner of the world. The company offers vast options: starting from organising wide selection of tours, activities and vacation packages or business trips, to many other life experiences that may be taken in Switzerland. Such as participating in health or educational programs, arranging language courses or professional training, financial and business consulting, all along with other types of support. 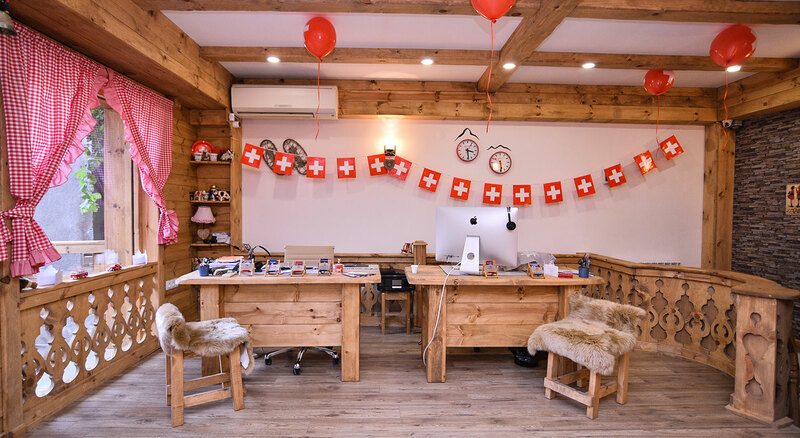 Switzerland Tour's primary mission is to build long-term relationships with its clients and provide irreproachable customer services by pursuing business through innovation and advanced technology. - VIP and standard private transportation in Switzerland and adjacent regions. - Individual and small group tours, with tailor-made programs based on their preferences and tastes. - City tours, daily trips and thematic excursions for every type of traveller within Switzerland and neighbouring countries. - Services of proficient tour guides in your preferred language. - Reservation of Hotels, Chalets, Apartments. - Assistance in the participation of sports events or other desired festivals. - Assistance in achieving Medical Treatments in Switzerland. - Assistance in enrolment to language or other courses in Switzerland. - Transfer and Transportation Services.